Jill Adams is an associate editor with HealthNewsReview.org. She tweets as @juadams. A raft of news stories this week covered yet another study that links skipping breakfast to health woes. The study was observational and offered up this association: People who ate less than 5 percent of their total daily calories at breakfast, based on their answers on a questionnaire about their eating habits, were more likely to show signs of early atherosclerosis. Atherosclerosis is a buildup of fats, cholesterol and other substances in artery walls that can restrict blood flow. And yet, none of the articles we looked at asked a question that nutrition experts say is key: What did the participants eat? In other words, if you want to accurately assess whether skipping the morning meal is linked to a health outcome, you would want everyone in the study to eat a similar diet, or be matched up by how similar their diets were. As much as possible, you would try to isolate the skipped meal as the only condition that varies among study groups. So the study quality leaves plenty to be desired, but it still earned news coverage. 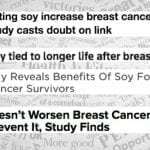 To their credit, most news outlets pointed out that this was an association study and couldn’t prove cause and effect. For more on why this matters, see Observational studies: Does the language fit the evidence? 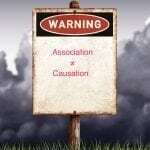 Association vs. causation. But some ended up pulling their punches with expert comments that overreached. Actually, no. It doesn’t prove anything. No, again. 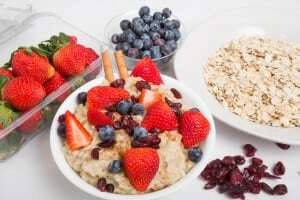 The study didn’t measure the effect of eating breakfast on healthy behaviors. The people who skipped breakfast also had a bunch of other unhealthy habits — their diets were nutritionally poorer, they drank more alcohol, and they were more likely to be smokers than the breakfast eaters. “Some reporters did a pretty good job pointing out that the breakfast skippers had other unhealthy behaviors,” Webster says. And while the study controlled for some of these, “there may still be residual confounding factors,” she says, meaning there might be other factors that researchers didn’t measure and thus didn’t account for, such as physical activity levels or sleep quality. Several news stories included the fact that only 3 percent of participants fell into the breakfast-skipping category. But only the Forbes story called this out as a limitation. “It makes the margin of error wider,” says Webster. Not only did Forbes call out a limitation others missed, it also left readers with a takeaway appropriate to the evidence presented. So if you currently eat a fairly healthy breakfast, continue on. Those who skip it and are healthy in general may be OK to continue if it works for them. Do what feels right for your body.